Bonn, 18 July 2018 – The UNEP/AEWA Secretariat is pleased to announce that the 7th Session of the Meeting of the Parties (MOP7) to the African-Eurasian Migratory Waterbird Agreement (AEWA) will take place 4 - 8 December 2018 in Durban, South Africa. The decision on the venue was officially communicated to the Secretariat by the South African Department of Environmental Affairs, which also announced that it has appointed the Olive Convention Centre located in the heart of the city of Durban in KwaZulu-Natal Province as the venue for hosting AEWA MOP7. 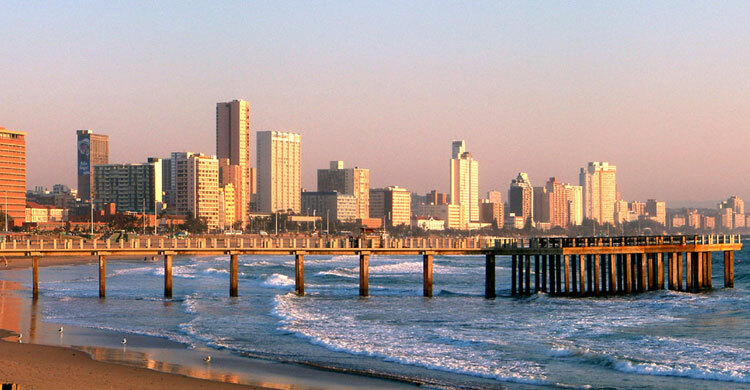 The Convention Centre is located close to several hotels and lies within Durban’s famous Golden Mile. “We are most grateful to the Government of South Africa for its generous offer to host AEWA MOP7 in the beautiful city of Durban and look forward to working closely with the Department of Environmental Affairs to make the inter-governmental meeting a great success” says Dr. Jacques Trouvilliez, Executive Secretary of AEWA. A first notification announcing South Africa as the host country of AEWA MOP7 was sent to AEWA Parties and other stakeholders in December 2017 and official invitations will be sent out by the Secretariat over the course of the next two weeks. Further information for participants and all MOP7 meeting documents will be made available on a dedicated webpage for AEWA MOP7 in the coming weeks, on which all meeting documents will be published 60 days before the start of the meeting. Logistical preparations for this meeting are well underway. For more details, please contact Ms Catherine Lehmann, Executive Management Support Officer at the UNEP/AEWA Secretariat.